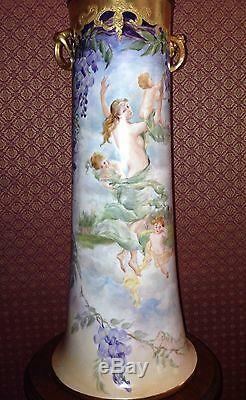 Hand painted Wisteria, Woman and Babies/Cherubs. 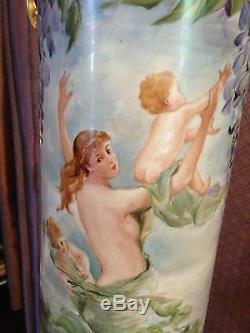 Vase is 20 inches tall. 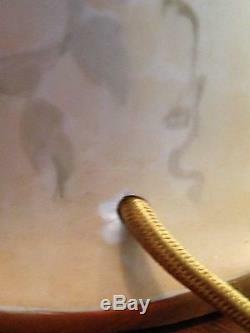 32 inches to top of lamp fixture. 7 1/2 inches handle to handle. 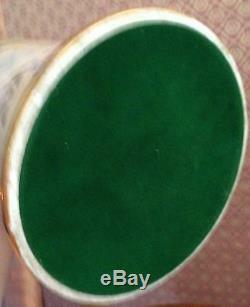 9 inches diameter bottom of lamp. 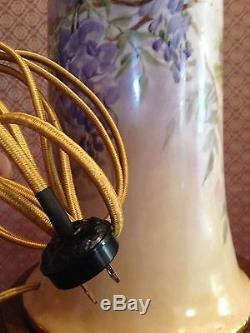 Rewired with a gold silk cord and felt on the bottom. The markings are unavailable due to this. 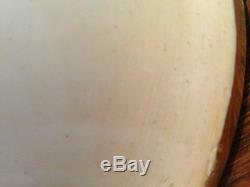 Could possibly be a Belleek mold. 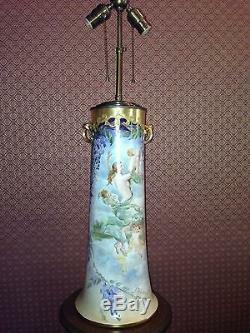 Beautiful gold work with two handles. The woman and cherubs are amazing! A monumental piece for your collection. There are fleabites around the hole where they drilled to wire it. Does not detract at all. I took photos of a couple of spots that are in the porcelain mold before firing and it looks like there may be a teeny spot under the gold on the top back. 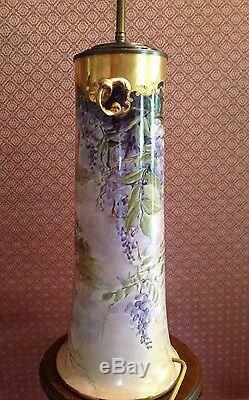 I have a similar lamp with LILACS! No handles but same size if you are looking. 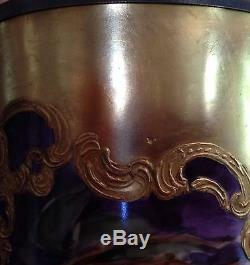 For a pair of amazing lamps that can go together. Thanks for looking feel free to ask questions! 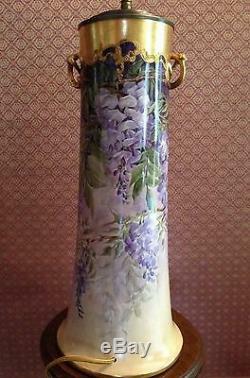 The item "Magnificent Limoges Woman Cherubs Wisteria Vase Lamp Hand painted" is in sale since Friday, May 1, 2015. This item is in the category "Collectibles\Decorative Collectibles\Decorative Collectible Brands\Limoges\Collector Plates". 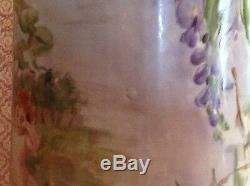 The seller is "violets_are_purple" and is located in Northville, Michigan.